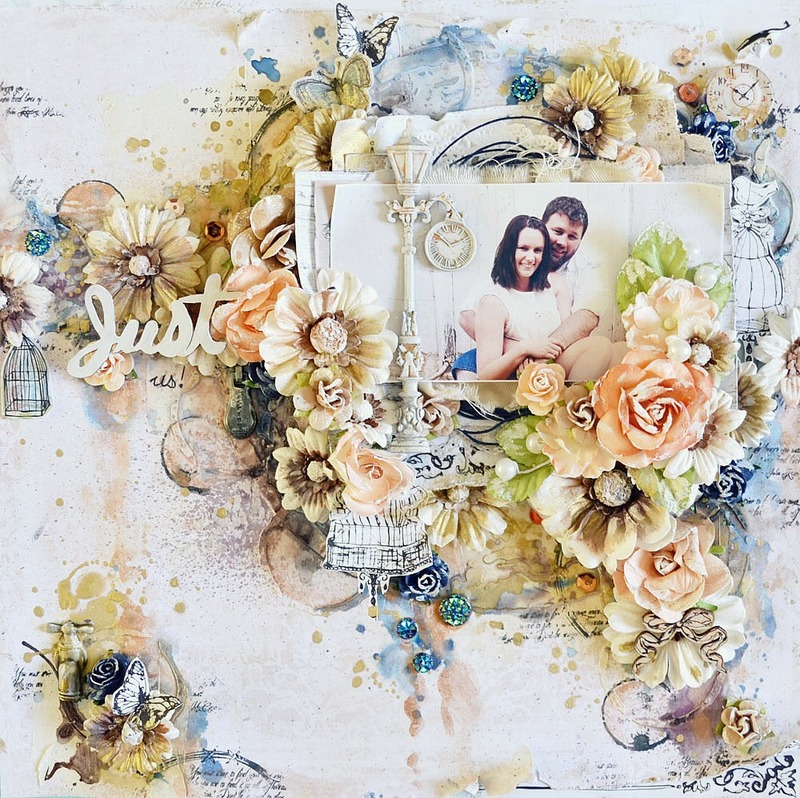 Hi there, I am so excited to share with you the latest mixed media mega kit from The Scrapbook Diaries. This massive kit comes with instructional videos to create 4 different layouts from some amazing designers!! I was so happy to be involved in this and the kit is absolutely gorgeous! Here is my creation that comes with an instructional video. The kit also offers exclusive products not yet available to the public. This awesome stamp set designed by Georgia and Janene! Plus The Crafter's Workshop pre-released stencil. Janene has done a really good deal with this kit with free post within the US and reduced rate shipping included in the price for International purchases. So check it out, kits start shipping from Monday the 24th Nov, get in quick before they are all sold out! Thank you Stacey!!! Amazing layout and so fun to see you out of your comfort zone. You totally rocked a color palette out of the Shimmerz range (of course you know I LOVE your work with all things Shimmerz). :) Thanks so much for partaking in the Beauty and Grunge kit! Gosh, this came out just gorgeous! I really love the serene feel to your lay-out and the wonderful butterflies and flowers that you added! WOW WOW WOW This layout is stunning, love the colors and all the flowers and all the amazing details.. love this.. and those stamps are awesome too..
Love what you created sooo much Stacey, you totally rocked this kit!